With an introduction by Ellen Dillon. Manson reveals English words hiding within the original French text of Mallarmé’s poems. 84pp, £7.00 in UK (see website for overseas rates). ISBN 978-1-326-06629-1. November 2014. Available post-free from The Book Depository. Thanks to Stephen Emmerson and Lucy Harvest Clarke. Readers in search of more conventional translations of Mallarmé’s Poésies may prefer The Poems in Verse from Miami University Press. I’m just saying. 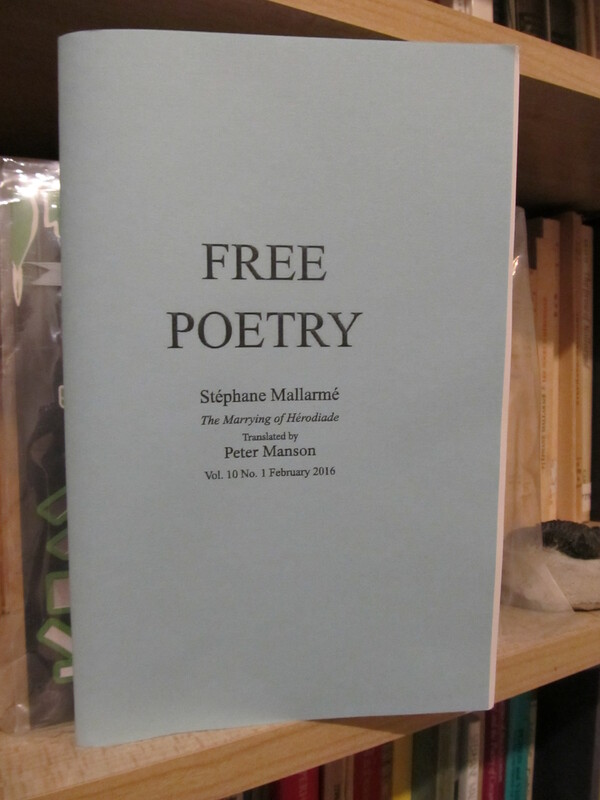 This entry was posted in books, translations and tagged books, erasure, mallarmé on 15/11/2014 by Peter Manson.